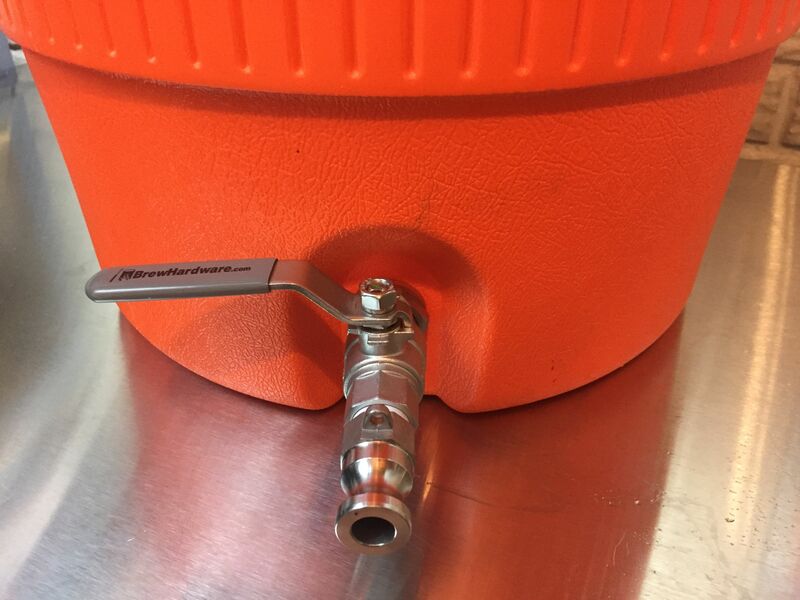 Here’s a look at Brew Hardware‘s 10 gallon beverage cooler mash tun conversion kit. This conversion kit is available in both Igloo 10 Gallon Seat Top and Home Depot Cooler variants. 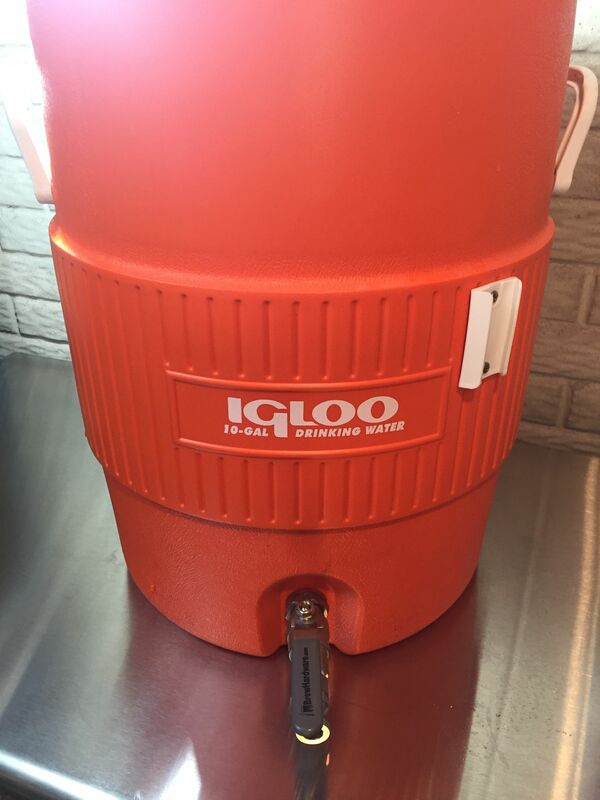 This is a look at the Igloo Cooler version. My assumption is that the Home Depot/Rubbermaid version is very similar. 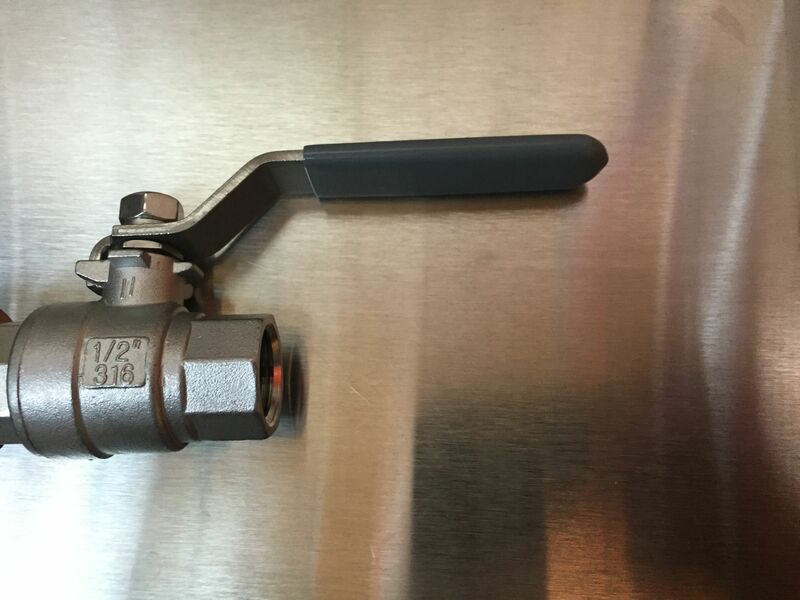 What’s included: 12″ stainless domed steel false bottom – with high flow connector, 2 piece SS ball valve, True Weldless Bulkhead with 5/8″ barb and a section of 1/2″ ID high temp silicone tubing. A comparison of the high flow elbow (bottom) vs my old false bottom (top). 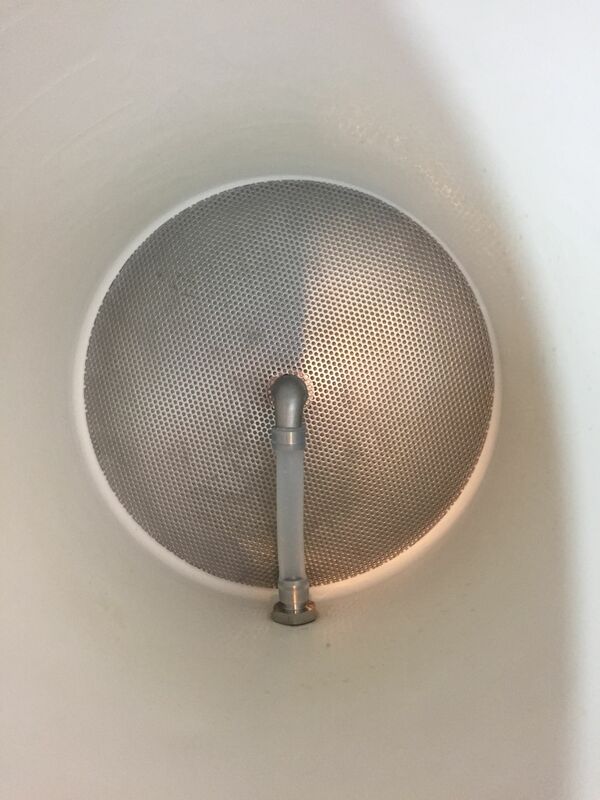 I would consider my old false bottom (top) to by a pretty standard size. As you can see.. there is a huge difference in size. That can only lead to better flow rates and fewer clogs. To my knowledge Brew Hardware is the only shop to carry such a thing. Here’s the Brew Hardware Bulkhead (right) next to my old (now out of production) bulkhead (left). The simplicity of Brew Hardware design is pronounced. 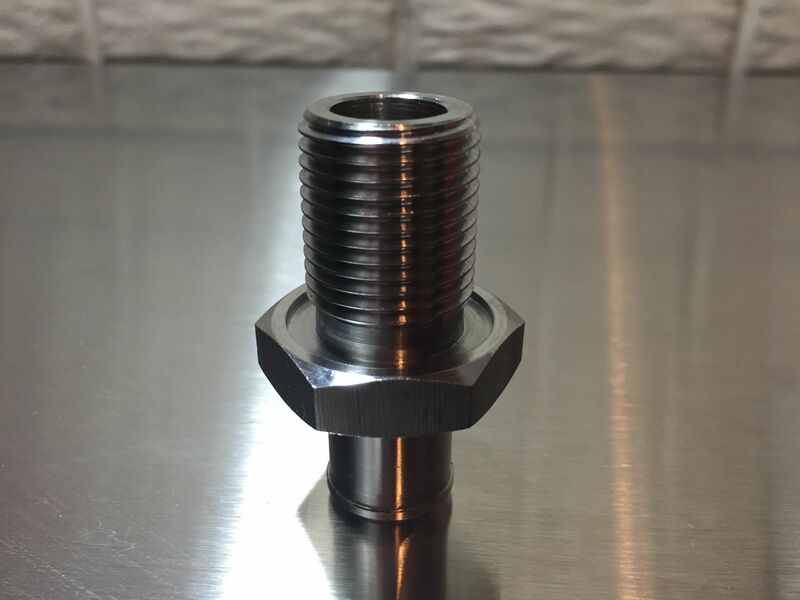 The barb and exterior threaded portion our all one single machined piece. The larger barb is also noticeable. 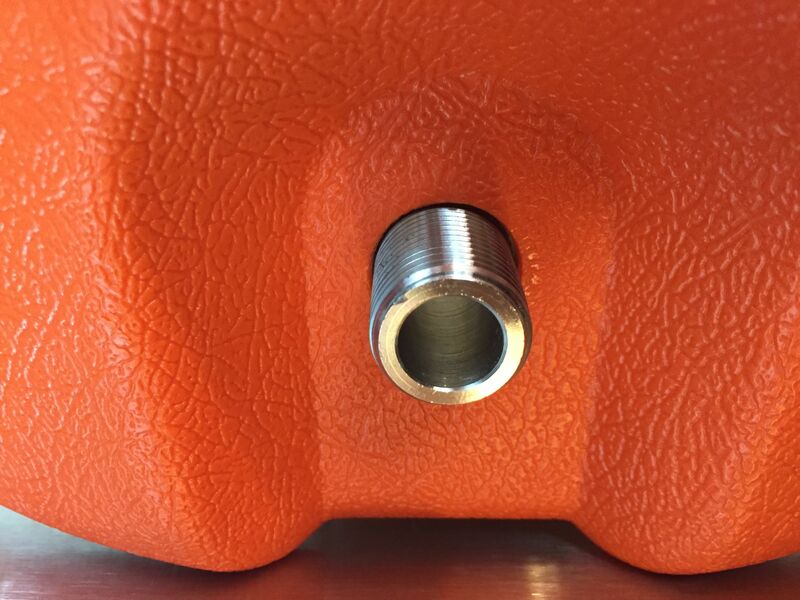 All True Weldless Bulkheads have a machined channel for the o-ring to sit in. This picture shows that. To install, you start by removing the factory spigot. The spigot for my cooler was removed… long ago. Then pop the bulkhead body in threaded side out. 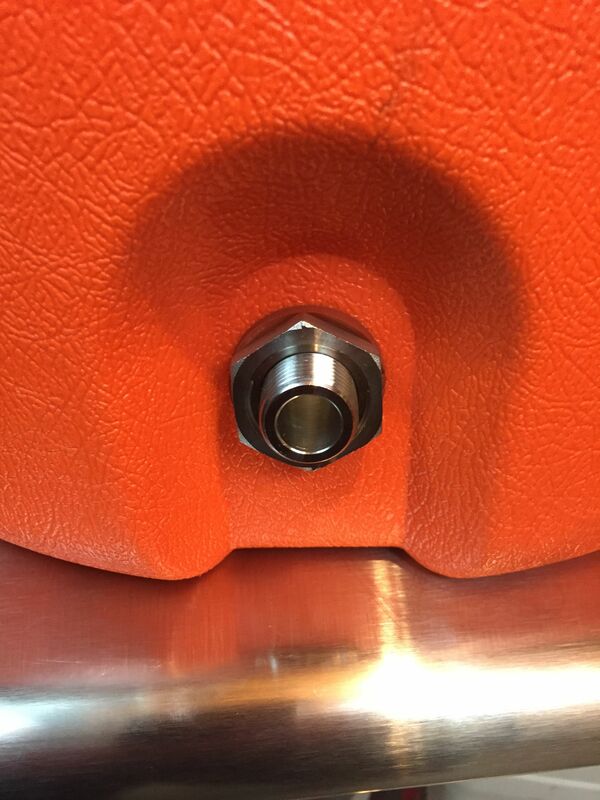 A larger oring, a single washer and the lock nut are installed installed on the outside. 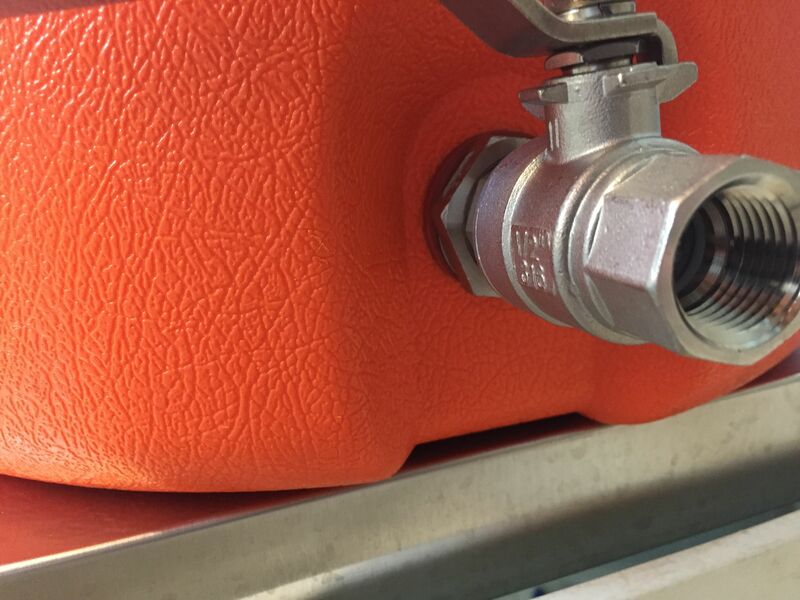 If you’ve dealt with other weldless kits you’ll know that tightening these is typically… touchy. Too loose and they will leak, flop around and loosen. Too tight (easy to do) and the oring squishes out the side and the thing leaks. Brew Hardware’s bulkheads separates itself from the pack once again. This assembly can be tightened very tight. In fact the instructions say… “It is impossible to over-tighten this bulkhead”. I wouldn’t challenge anyone with power tools, but the fact remains… this thing is solid! With the ball valve installed. You can turn the handle without fear of the whole thing falling apart. I has a solid feel. 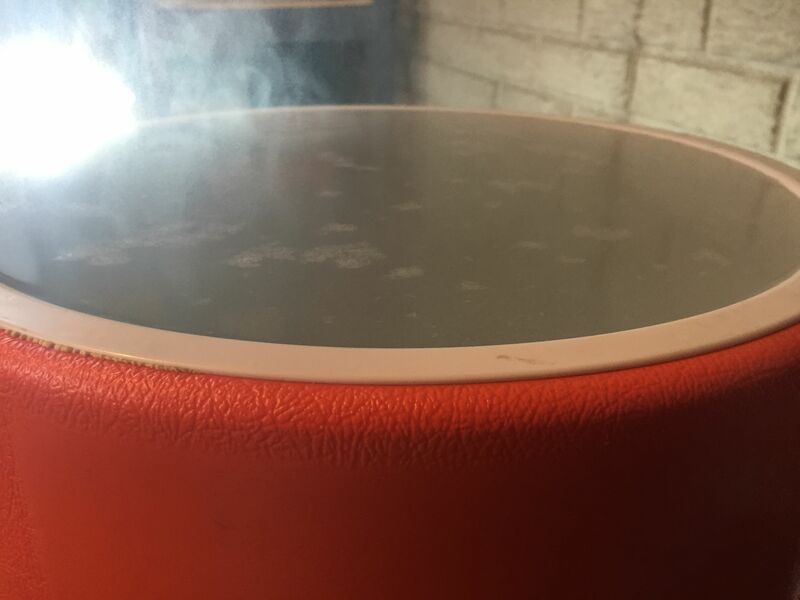 A look at the inside with no false bottom. Not a lot in there to get in the way. I charred my finger on a recent brew day on one of those. I know they get hot. I also have heat resistant gloves [Search: hot surface handler]. Considering all of that… I usually risk it. This time I burned my thumb. 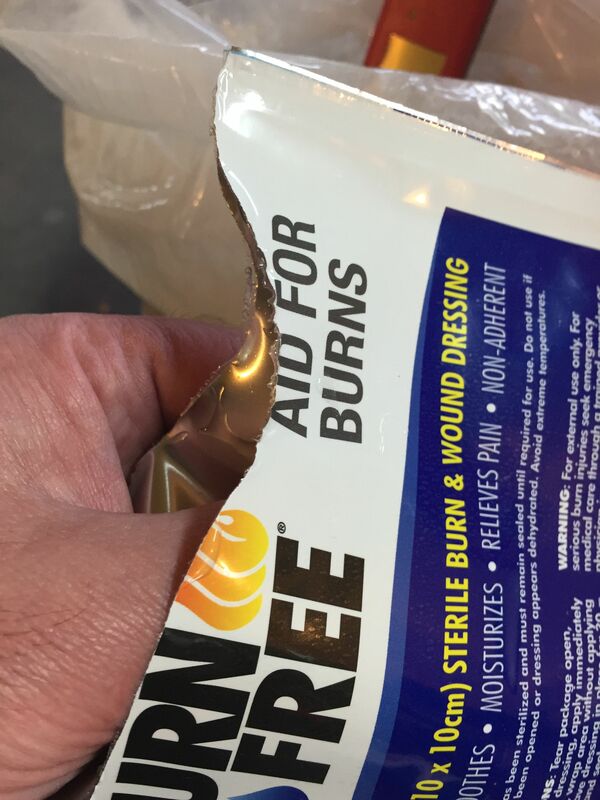 Burn Free to the rescue. 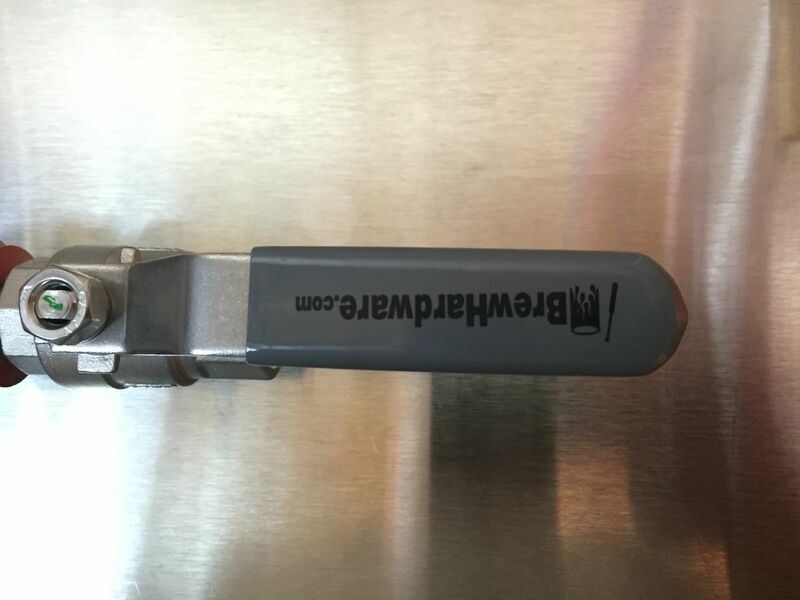 I’m sure there’s a reason for those slide locks, but I have never liked them. Leak test. Filled to the tippy top with warm water. 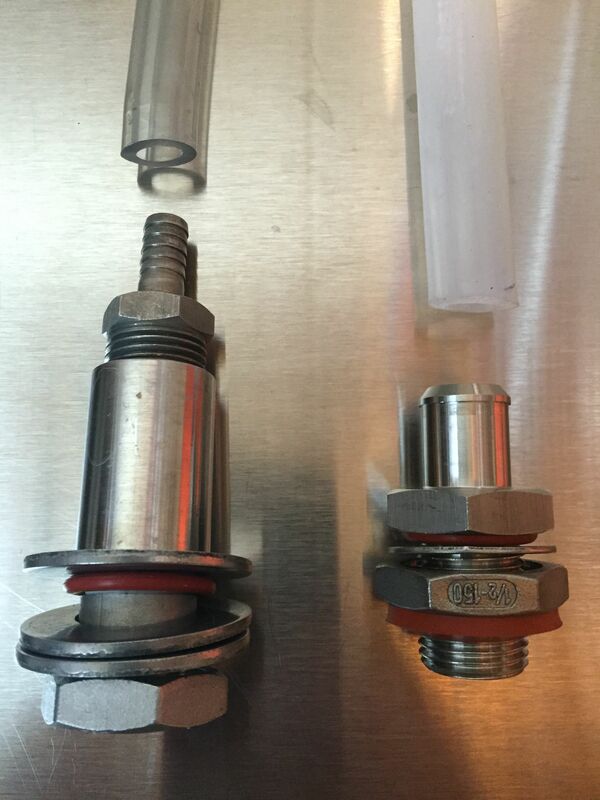 I installed a camlock QD but you can install whatever 1/2″ NPT QD, fitting or barb you’d like. Update: I received a question about dead space volume. Great question. I filled the cooler up and drained it. 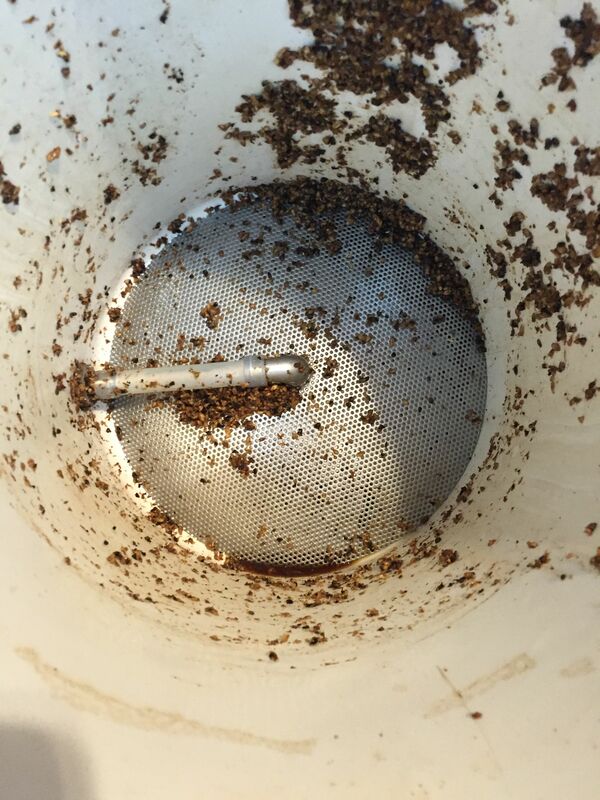 My Rubbermaid Commercial Pitcher [Review] shows what’s left. It’s just under one quart. For BeerSmith and other recipe calculators I think .25 gallons is a very close figure. 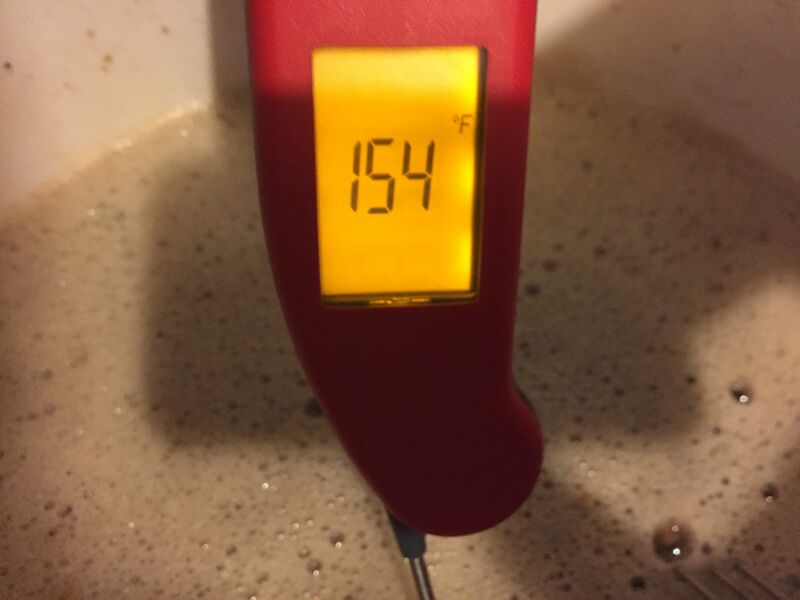 Taking mash temp with my Thermapen Mk4. Notice the backlit, rotated display. When all is said and done. This did come with a tubing clamp, but I didn’t use it. I’ve now used three conversion kits in this same cooler. 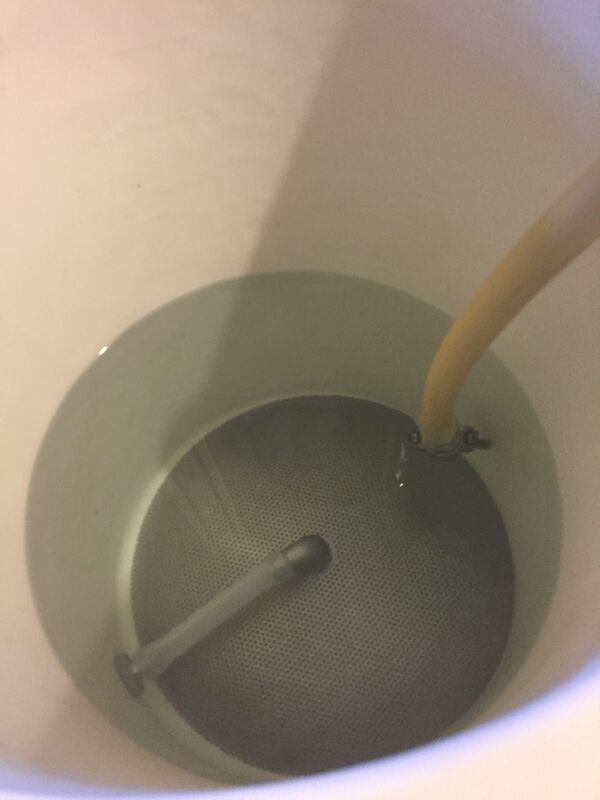 The first one was a part brass, part stainless kit with a 9″ false bottom (I briefly used a 5 gallon cooler for MLT and moved that over when I got a 10 gallon), followed by an all stainless setup (the one that is compared here – now out of production) and finally Brew Hardware’s conversion kit. This conversion kit is superior. Bobby from Brew Hardware’s smart and thoughtful design shines through. It’s quality construction, well designed, simple and well priced. I can heartily recommend this to you. 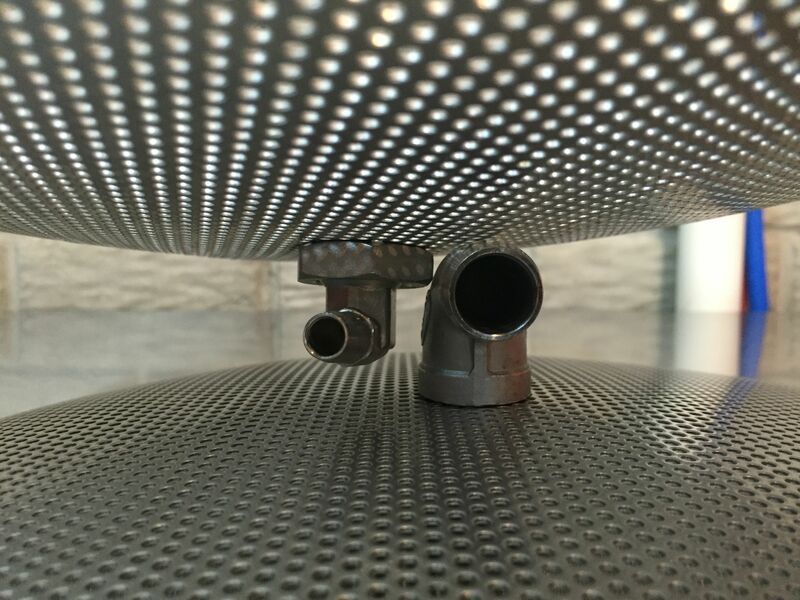 This entry was posted in All Grain, Amazon, Brew Hardware, Coolers, Featured Reviews, HBF Tested, Mash Tun, Projects, Reviews, Reviews & Top Posts, Top Posts on October 30, 2012 by admin. 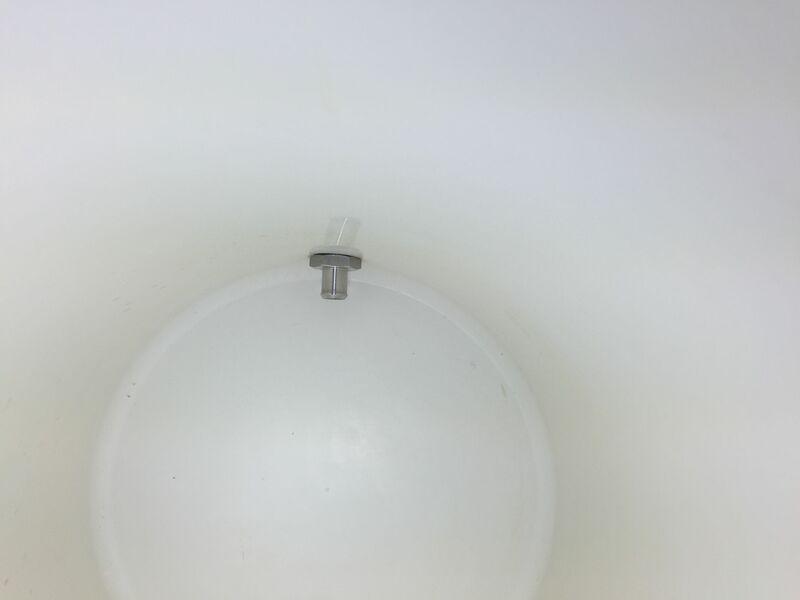 How is the street elbow attached to the false bottom? I tried to upgrade mine last night with a street elbow and had to rig it together. 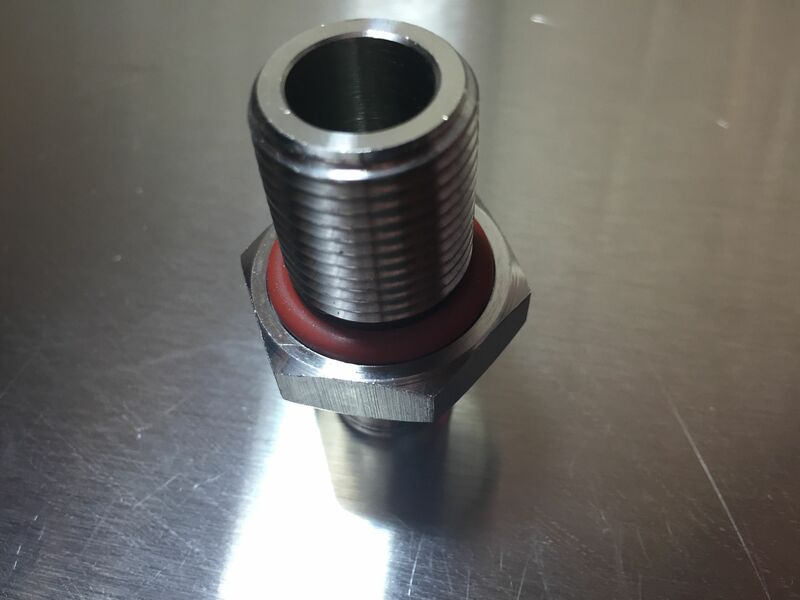 Is there some sort of hollow male threaded bolt that screws into the elbow clamping it down to the false bottom? I have the same exact cooler and conversion kit, and my dead space is around a pint (not a quart), as long as I don’t lose siphon. 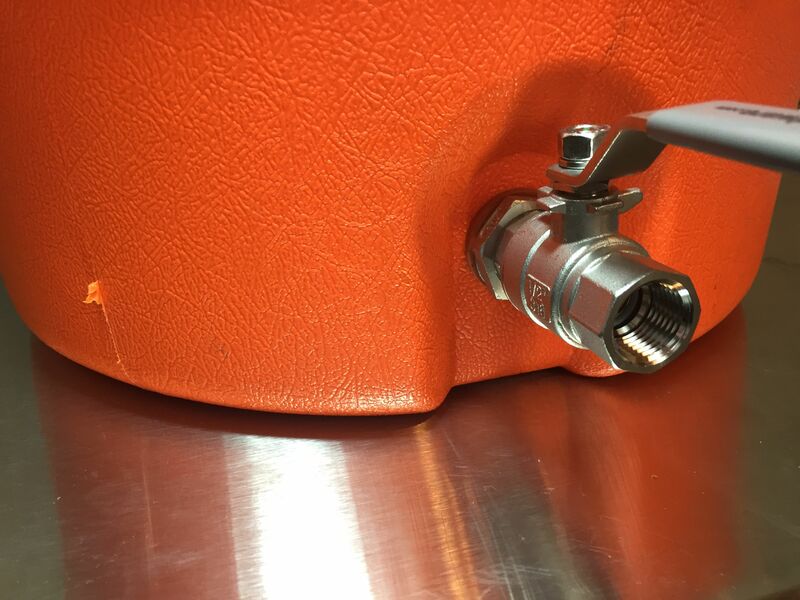 When you drained it did you attach a tube that emptied below the level of the valve? Interesting. 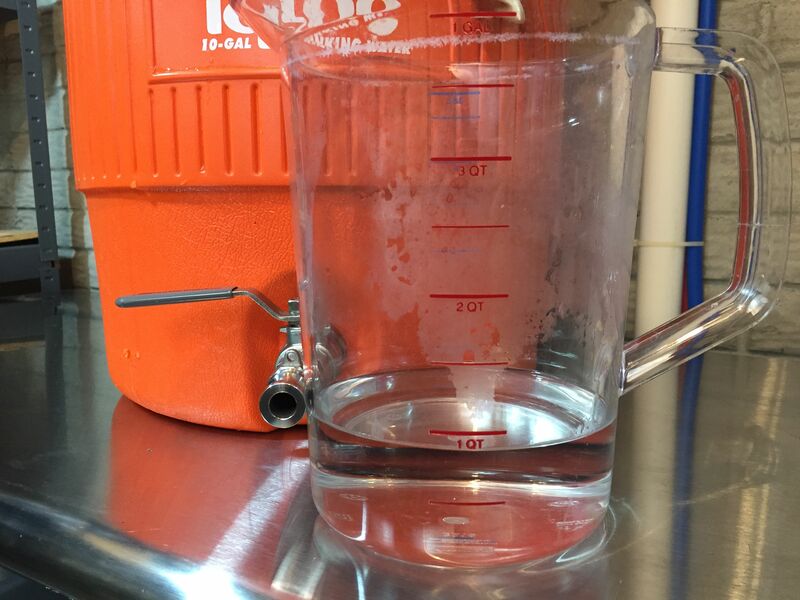 Thinking about the siphon effect… I did use a tube when doing this test. It had a drop of 2 or 3 feet (from my table to a keg sitting on the floor). In the interest of getting a reasonable and realistic result, I did not tip the cooler in any way. That would probably help to get more liquid out. That’s something I would probably do on most brew days. Beyond that.. I’m trying to think of what the difference would be. Did it seem to flow better or differently? It flowed well, but I can’t tell you that it flowed better or differently. 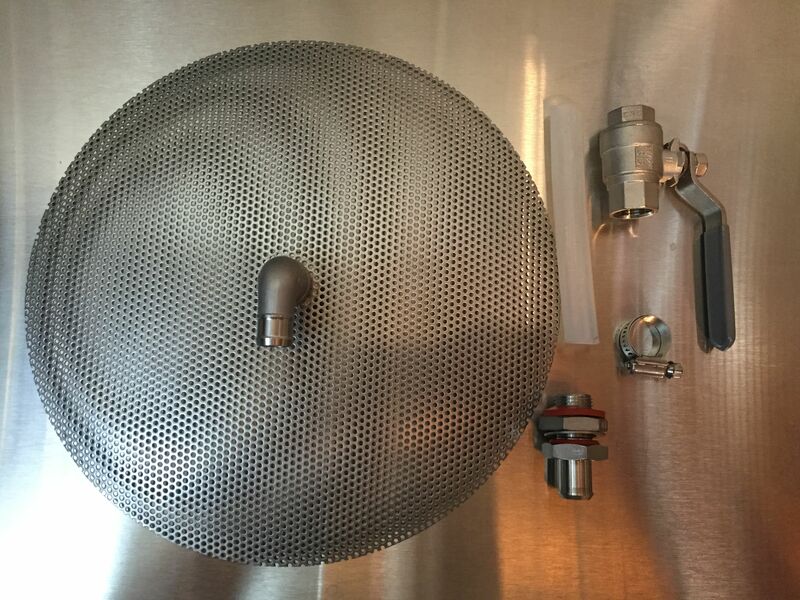 What would you say your tun deadspace would be in beersmith with this setup? Great question David. I’ve added that to the review. I’d say 1/4″ gallon would be a great figure.